LSA students will tour the campus, learn about the WFC mission and history and spend time volunteering with residents. Students will raise awareness of developmental disabilities at their high schools. 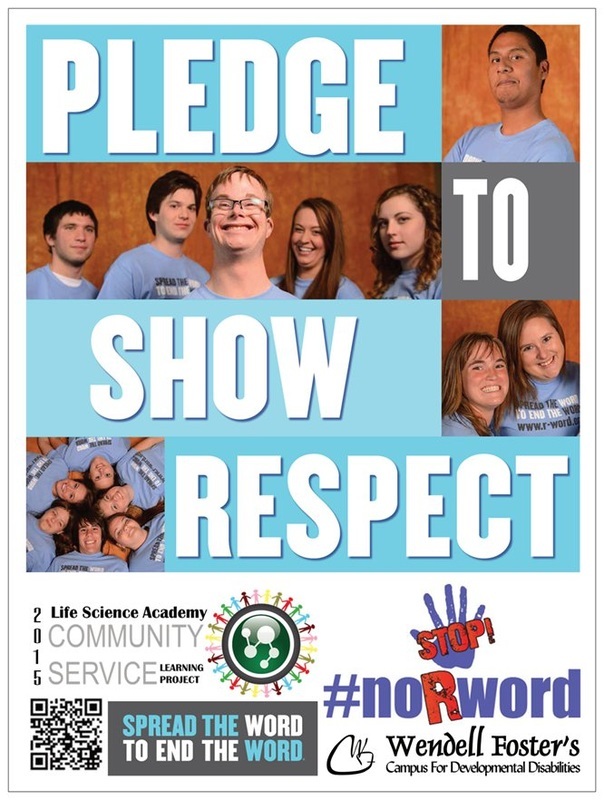 Our objectives are to add signatures to the "No R-Word" Pledge and raise funds and awareness for WFC through posters and T-shirt sales. WE DID IT! WE WERE ABLE TO ACCOMPLISH ALL OUR PROJECT GOALS THIS YEAR!